Fast Food News: Whataburger's Spicy Ketchup is Back... for awhile. Whataburger's Spicy Ketchup is Back... for awhile. 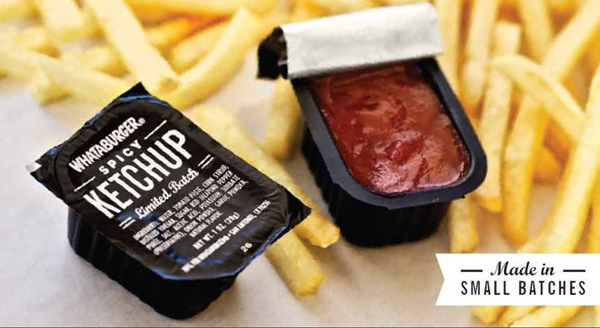 Whataburger's much loved and longed for Spicy Ketchup is back starting today, for a limited time. Their jalapeno-infused Spicy Ketchup was introduced in January 2012 and didn't stay around nearly long enough. *Although the vast majority of Whataburger restaurants are in Texas, they do have some in Arizona, New Mexico, Oklahoma, Louisiana, Florida, Georgia, Alabama, Mississippi, and Arkansas.